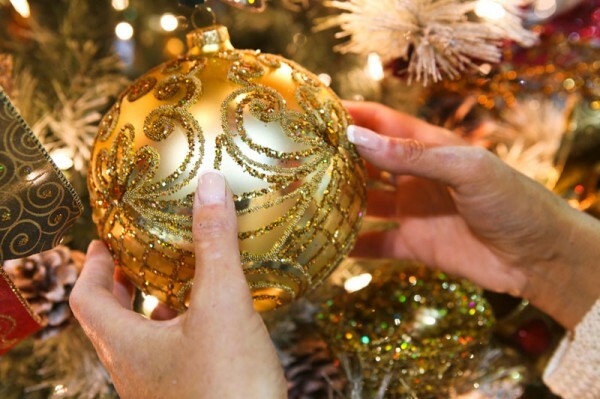 From traditional glitter and gold to an out-of-this-world tree experience, the 2014 Holiday Tree Festival, sponsored by the volunteers of Akron Children’s Hospital, has something for everyone. 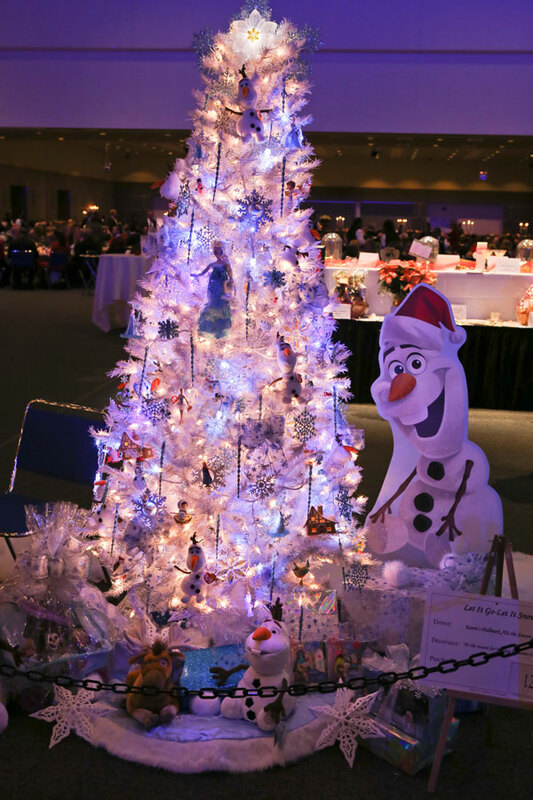 This year’s Holiday Tree Festival doesn’t disappoint, offering visitors an array of familiar character-inspired trees like Disney’s Frozen, Charlie Brown and My Little Pony, as well as themed-trees that will tempt your taste buds and imagination. If you haven’t already, be sure to check out these trees and more at the 33rd annual Holiday Tree Festival, now through Nov. 30 at the John S. Knight Center in Akron. Admission is free. “First Day of School,” donated by Charlene Zurfley and family, makes you question why you’d ever use a ruler just for measuring and crayons just for coloring. 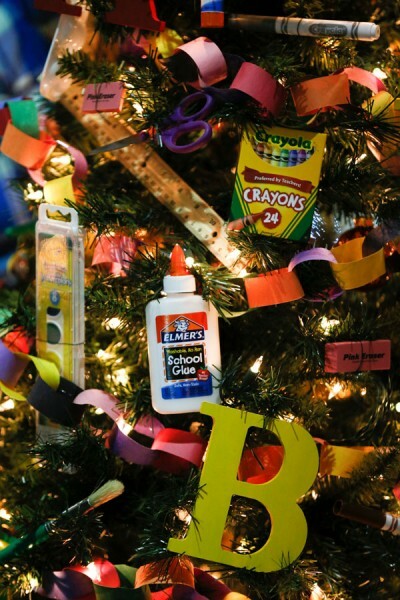 This school supply-inspired tree turns rulers into stars and crayons into wreaths. It’s sure to get your little one’s creative juices flowing. 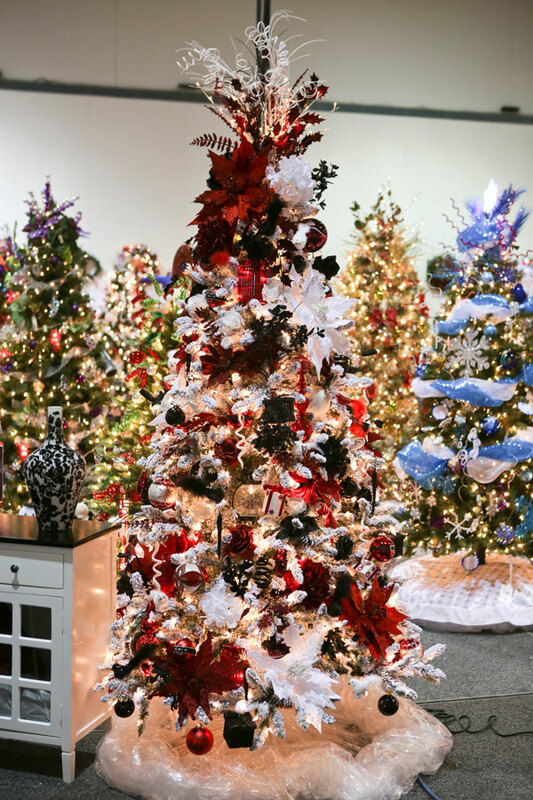 “Christmas, What’s Black and White and Red All Over?,” donated by Douglas J. Haines and the Brick House Tavern, puts this childhood joke into beautiful context. The “newspaper” tree, decorated in red, black and white, makes you want to cozy up next to its fireplace and read its front-page newspaper gifts under the tree. “Christmas Spirit,” donated by Hartville Hardware and the Ellesin Family, features a little red wagon base that makes this kid-friendly, family-inspired tree a sweet reminder of the many gifts Christmas has to offer. 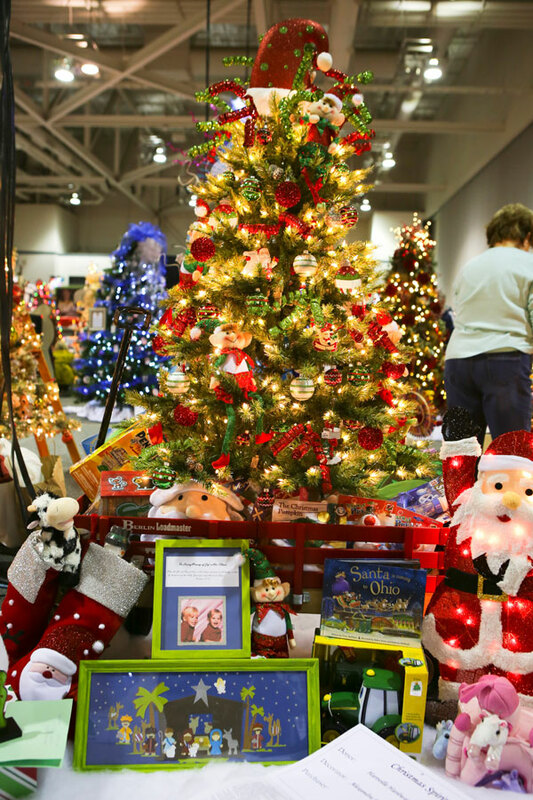 “Don’t Be a Grinch, Support Ohio Superkids,” donated by Greater Ohio SuperKids Classic, Inc., gets its inspiration from the race track. 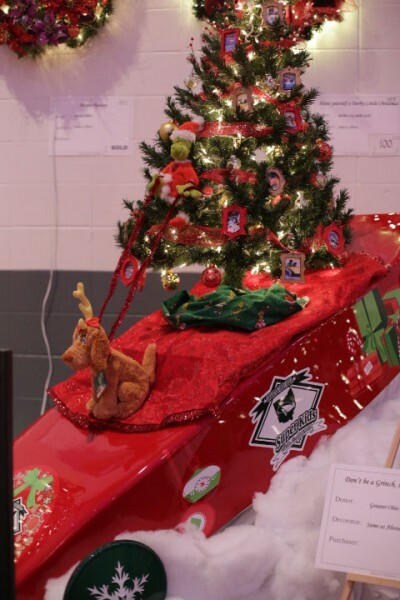 In fact, this Grinch-themed tree uses a race car as its base, making it the fastest-looking tree on display! “A Frosty Christmas,” donated by Ronald McDonald House of Akron, makes you wonder if you really need snow to make an adorable snowman. 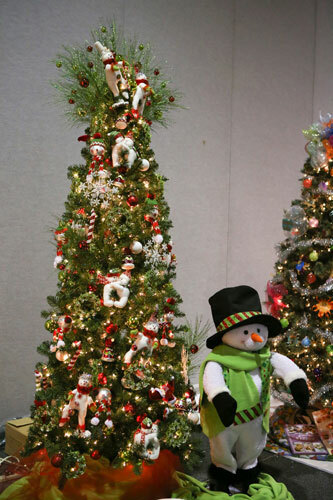 With a kid-sized, standing snowman feature, this tree is sure to catch your little-one’s eye! 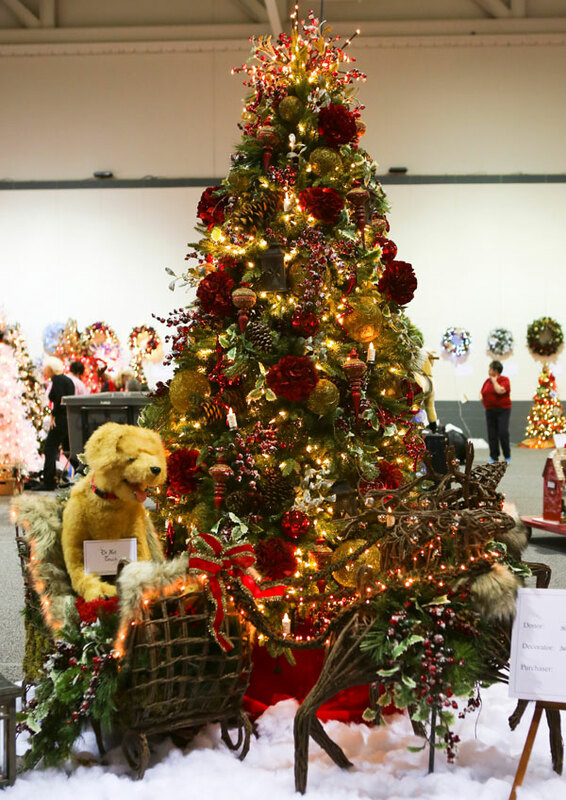 “Sleigh Ride,” donated by Harwick Standard, voted Best of the Festival by the Holiday Tree Festival committee members, is a stunning tree that will have you coming back again and again. The tree features traditional red and gold decorations with a crowd-pleasing dog and puppy sleigh as the focal point. 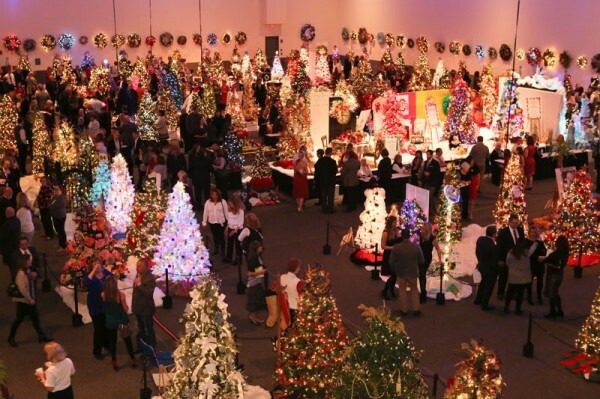 Visitors will enjoy countless Frozen creations, including trees and wreaths.